I know I'm super late to K-beauty train but better late than never right? 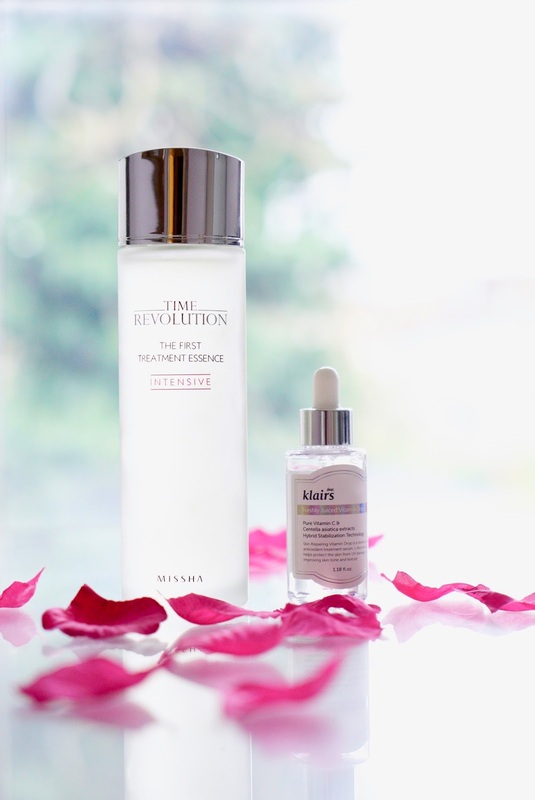 There were a few reasons why I've never venture into Korean skincare before even though I'm obsessed with all things skincare! There was just so much on the market I didn't know where to start, I had friends bring up sheet masks back from Seoul now and then and I've tried the Laneige Water Sleeping Mask but my knowledge was limited. There was also the issue with availability in the UK, I'm such an impatience Annie I like to stroll in a shop and pick up items to try out straight away. Anyway these factors aside, I've now ventured into this beauty world and I'm hooked! With my trip booked for Seoul next year, I've started reading more Korean Skincare blogs, beauty reviews and YouTube videos. I think it's pretty much agreed Koreans know their stuff when it comes to skincare, the proof is in their amazing glowy skin. Who doesn't want that?! I was reading about the infamous 10 step Korean routine and narrowed down my main skin concerns - large pores and hyperpigmentation. I decided to invest in an essence and serum. 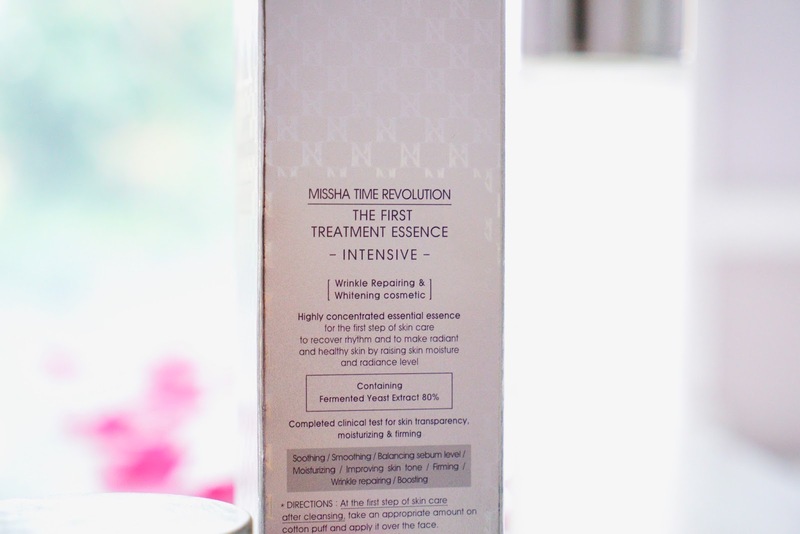 This isn't going to be full review as I've only been using this product for just over a week but I wanted to share my first impressions and also monitor how it works for my skin over the next few months. Hope you find it useful! I decided to buy the essence from SokoGlam and take advantage of the 40% off MISSHA promo, it retails for $49 and you get 150ml. It comes it a clear sturdy glass bottle that feels very weighty. I like how you can see how much product you have and it also looks nice and luxe. It's also been duped for the SK-II Essence, which retails at $179! Contains 80% Fermented Yeast Concentrate (saccharomyces ferment filtrate), which absorbs into skin instantly, repairing and nourishing on cellular level. Niacinamide, a Vitamin B3 component, improves skin elasticity, enhances skin barrier function, and revives skin tone and texture for an overall brighter and clearer tone. Skin is repaired, protected and hydrated, ready to absorb your next treatments. After cleansing and toning, you add a few drops in the palm of your hand and pat over your face and neck. It's a water like consistent with little to no scent as all and sits on your skin nicely, not too wet or moist. I leave for a few minutes before adding my serum. It's early days to see major results but this step helps prep my skin nicely for creams and serums. The next product I wanted to invest in was a serum. 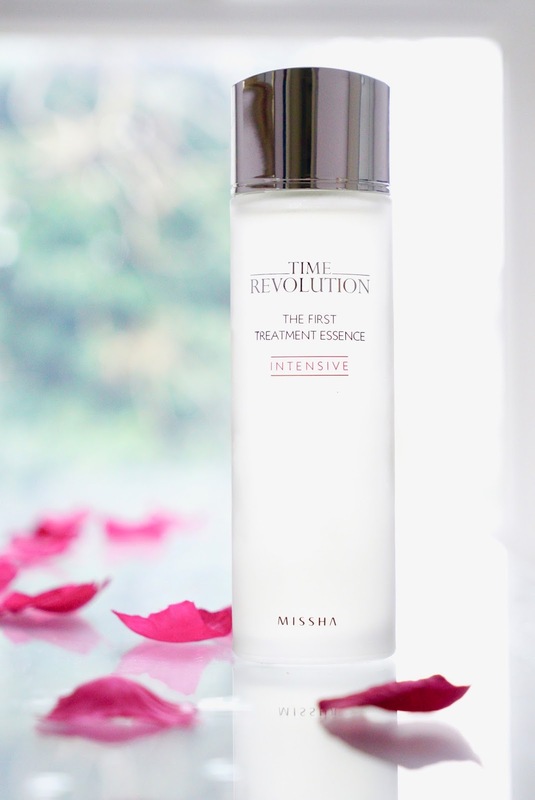 I had read the MISSHA Time Revolution Night Serum was amazing as well as the C20 Pure Vitamin but I think that was more for severe acne scarring. 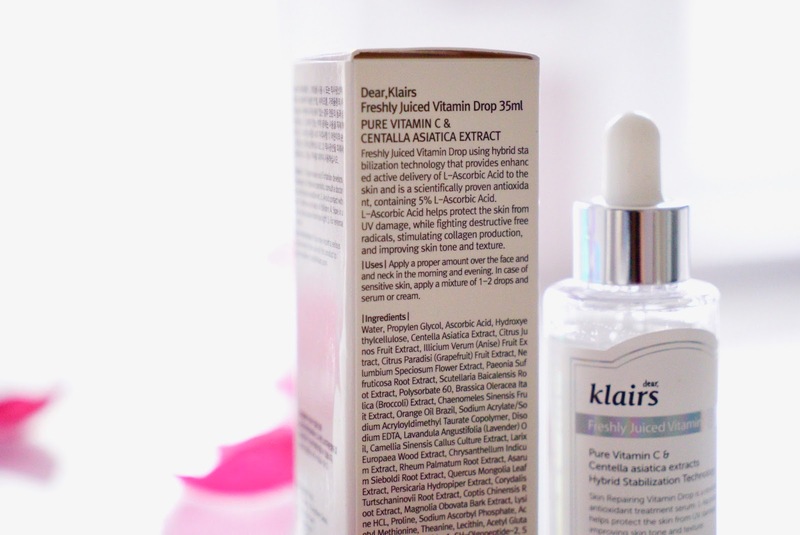 I then research the Klairs Freshly Juiced Vitamin C Serum and it sounded like it would suit my skin more. I brought it off SokoGlam for $23 for 35ml. 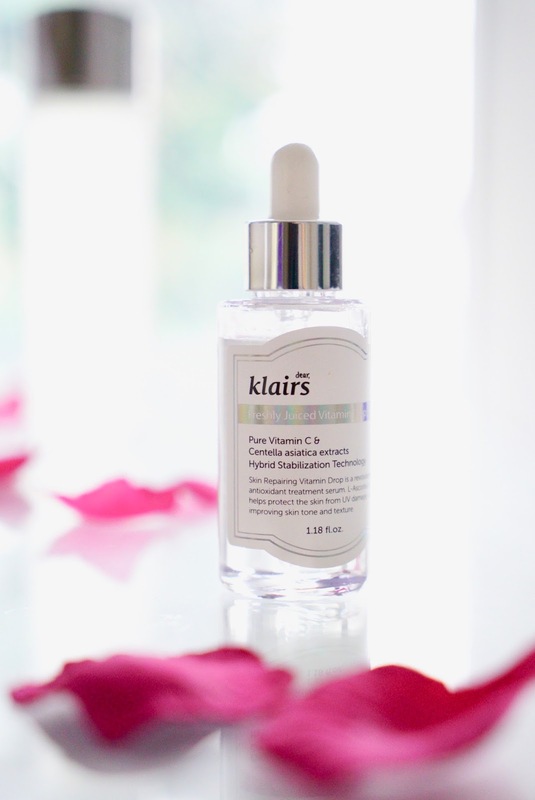 This is what the product claims: Vitamin C is an antioxidant that provides the best in anti-aging protection and is an effective brightening ingredient. The products has a slight thick texture so it doesn't run down your face but once applied on the skin has a slight warming feel and leaves a subtle glistening finish. It doesn't feel heavy or clog the pores. I leave for a few minutes before putting on my night cream. 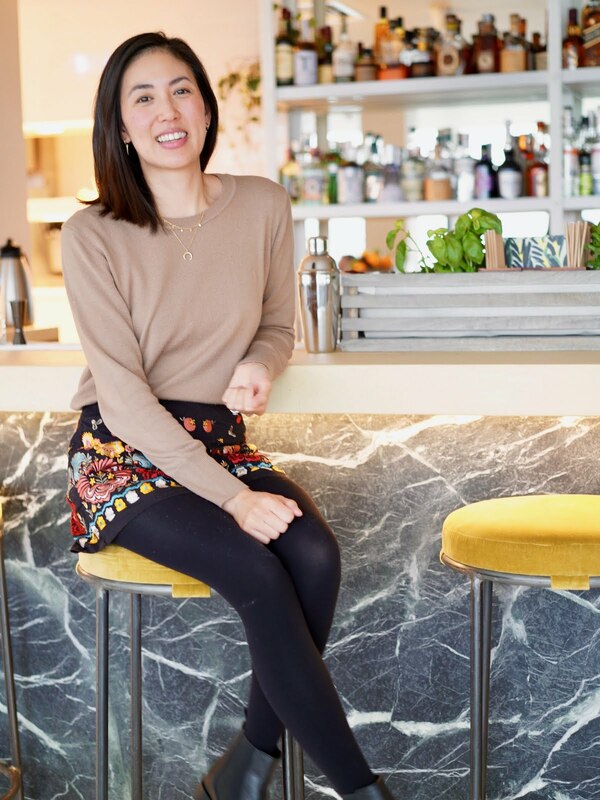 SokoGlam is founded by Charlotte Cho and she has a great more in depth blog on the benefits of Vitamin C if you want to have a read. 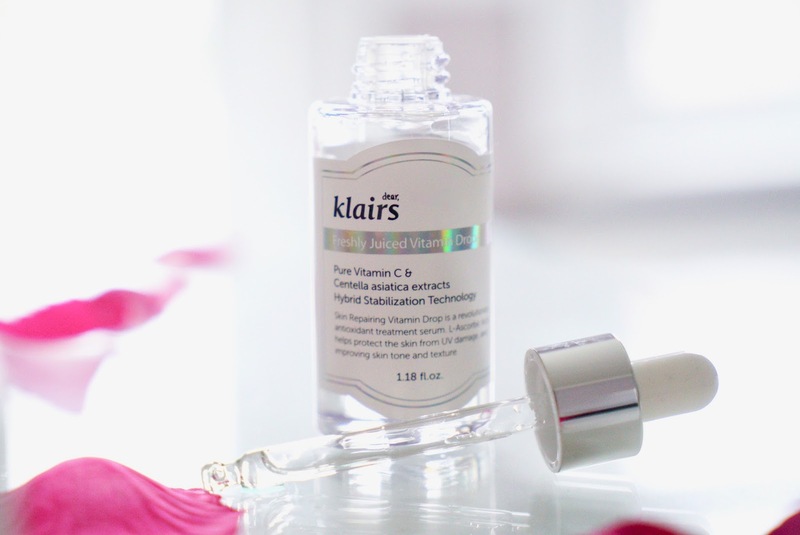 I've read more about using the Missha Essence with the Klairs and found it to be beneficial to separate the two products, other wise the ingredients counteract each other, so best to use one in the day and the other in the evening. It's only been over a week but my first impressions of these products is really positive, my skin has a more glowy dewy finish, which I never usually have and I haven't been breaking out as much. Also just to add my first time shopping on Sokoglam was a good experience, shipping was $12 with no custom fees and I received it in 2 weeks! As I'm such a Korean skincare newbie I would love to know what your must have products are? My gal pal Cherie from Sinonym is a K-Skincare lover and I like seeing what's she buying too :) I've also asked for Charlotte's book, The Little Book of Skincare for Christmas. I really want to take better care of my skin and see if these products will help make feel more confidence with my skin. Have you tried these products, what do you think? What are you K Beauty musts haves?